With the first set of mortises in the corner posts complete, it is time to move on to the second set. 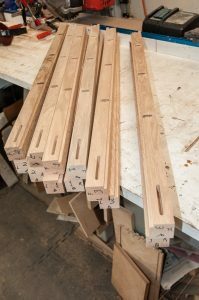 As I started cutting the test pieces it became apparent that it is critical to use the exact actual size of the posts or the end mortises and rabbet for the panel wont line up. The legs are a nominal 1.5″ wide but after sanding are actually 1.45″ wide. This is enough to cause the end decorative piece mortises to intrude on the rabbet for the end panels. Looking back I should have cut all of the rabbets with the mortises for the end pieces and not with the first set of mortises for the front and back supports. This results in some extra hand work and there was one leg that had to be redone all together. When manually making the rabbets and mortises, my setup always take into account the fact the at the pieces are not EXACTLY uniform and the best reference edge is used to minimize error and achieve uniform joints. On the dresser the natural reference edge on the corner posts is the inside corner. 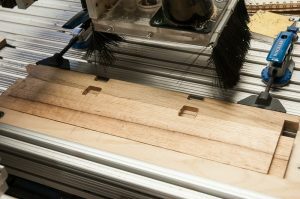 Additionally the rabbets should not be done as a single pocketing cut with the CNC router but rather first a skim cut should be made to prevent blow out or chipping along the edge. Video of the second set of mortises being cut: https://youtu.be/G0lsWLeAlKk . 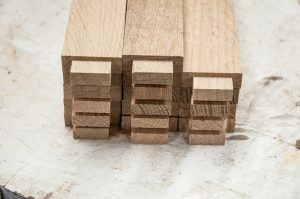 The photo below shows the corner post after the second set of mortises has been cut. The saying on my coffee cup has never been more true. Now we move onto cutting tenons for the end rails. 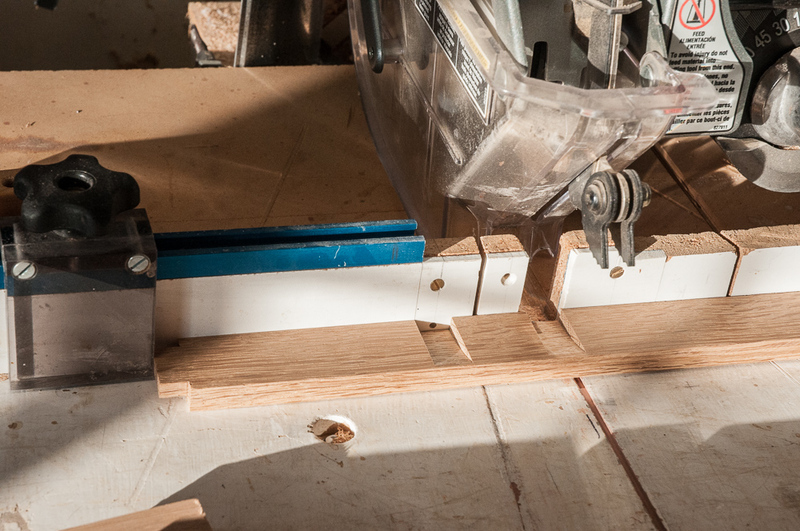 My favorite way to cut large numbers of tenons is to use a stack dado set on the radial arm saw. 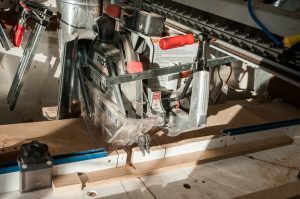 This is the primary task for the smaller 10″ radial arm saw. 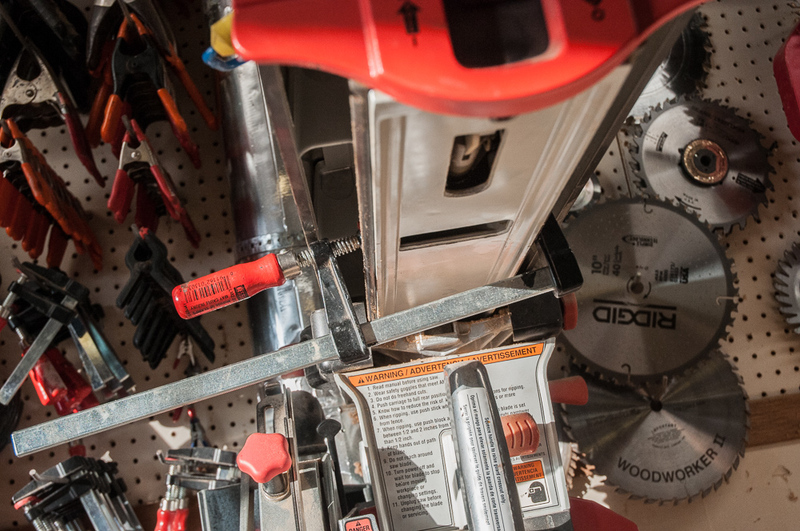 The large one (14″) is used almost exclusively for cross cuts. Note that both share a common fence and top system. 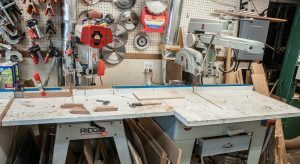 Radial arm saws can be purchased for almost nothing nowadays. The big one was salvaged from a school and purchased for $50 (and then completely overhauled). Double check that the saw is cutting exactly squarely. This is best done by taking a test piece that has been ripped for exactly parallel sides and a square end. Then make shallow rabbets on each side. If the cuts line up on both edges you are square. This is quite sensitive and uses less stock than the normal cut and clip technique. You can see the test piece laying on the top between the saws. The stock must be of uniform thickness. 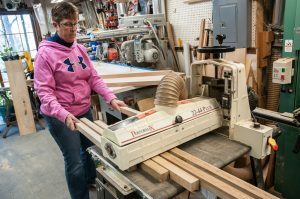 The best approach is to ensure that all of the stock was planned in one batch or better yet sanded to final thickness in the drum sander as we did with the legs. It takes a bit of fiddling with the height adjustment to get the tenon thickness right. 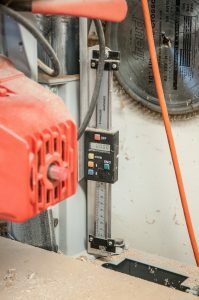 I have added a digital readout to the height adjustment of the radial arm saw to make this easier . 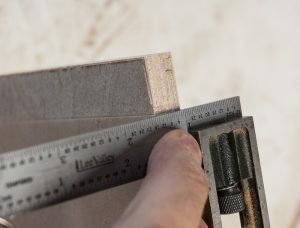 After each test cut adjust the height by 1/2 of the thickness correction (e.g. if you want a 0.25″ thick tenon and the test piece measures 0.28, adjust the blade down by 0.15″. 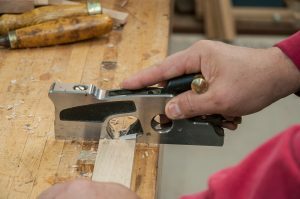 However always be sure to finish the adjustment by raising the blade to take out any play in the mechanism which would result in decreasing thickness cuts as the arm settles down. The cuts are all made with a stop block to ensure repeat-ability. 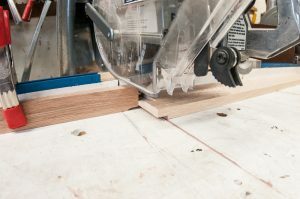 Note that the sacrificial wood stop block is notched on the bottom to allow room for sawdust. The grey stop block on the left holds the position. If only using one block, a spring clamp would not be sufficient. 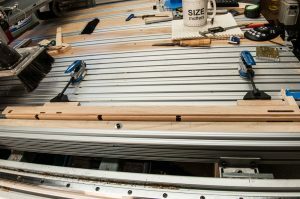 Then I would be using 2 hand screw clamps as using only one will typically slip on repeated cuts. Here is one of the bottom rail tenons being cut for thickness. Here it is being cut for height. The mortises were cut with a router and rather than squaring all of them off with a chisel, I typically prefer to round over or bevel the tenons. 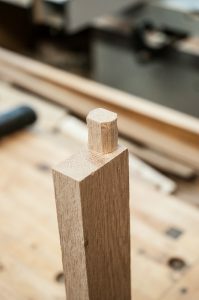 THe base of each tenon corner is nicked with a pull saw and then a couple of strokes with a chisel removes the rest as seen below. This is one of the top end rails. 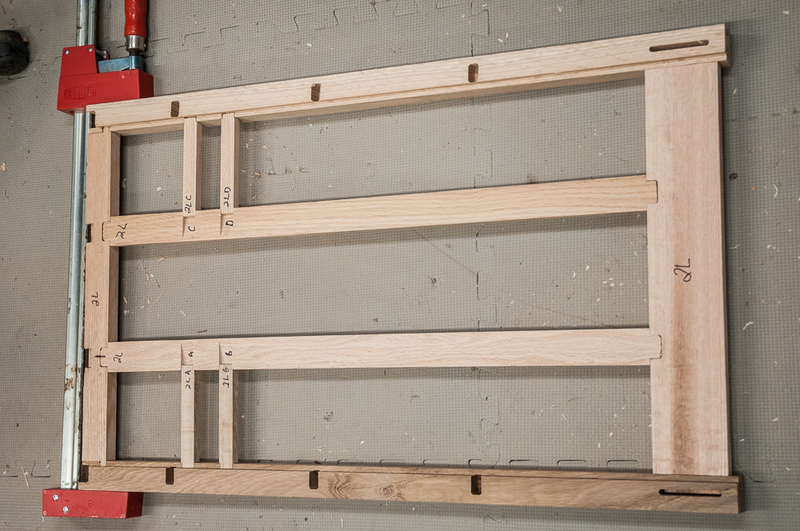 The end rails now need notches for the decorative frame work and this is done again on the CNC router. Here are the ends test fitted. The legs are the first set of components to make. 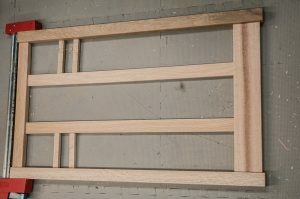 The rail tenons will fit into the mortises on the legs. 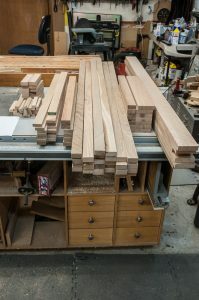 There are a lot of mortises to cut. 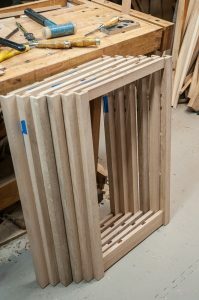 9 per leg, 4 legs per dresser and 3 dressers make for 84 mortises of various sizes. This should be a perfect item for the CNC router. The legs are cut from 8/4 quarter sawn oak. 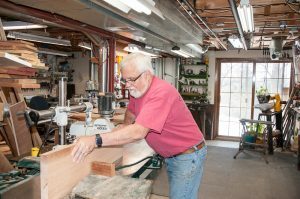 I have a number of planks remaining from Wisconsin WoodWorker’s Guild LogFests where we milled and auctioned off many logs felled by our group or donated. This was an “urban wood” project. These have been air drying for a number of years. 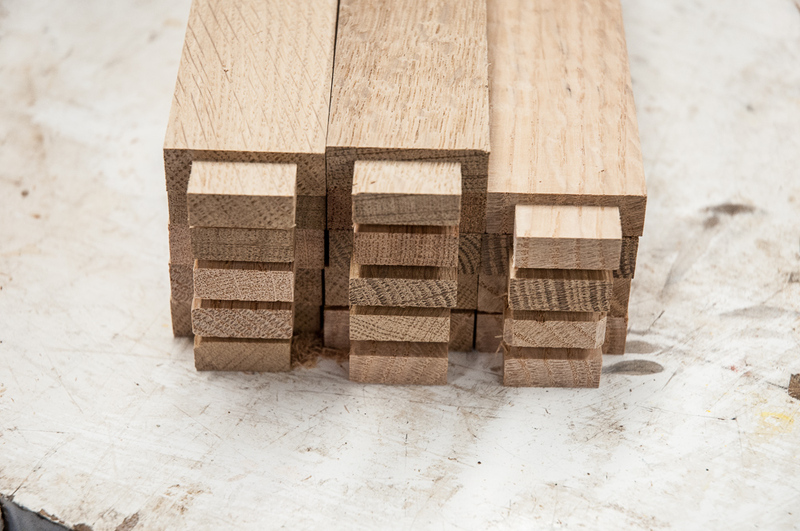 The Red Oak is perfect, the White Oak has more loss as it was not only more irregular to start with but is also prone to internal checking when air drying at home. 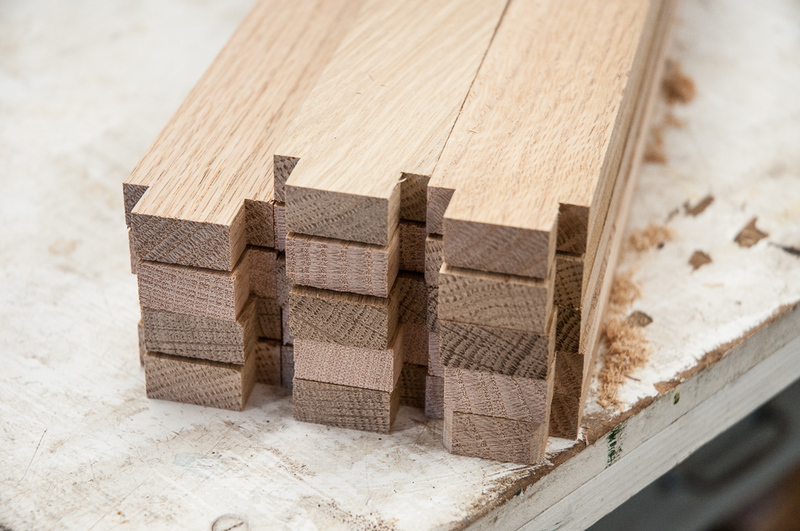 The pieces are cut to rough length first, then planed and jointed. 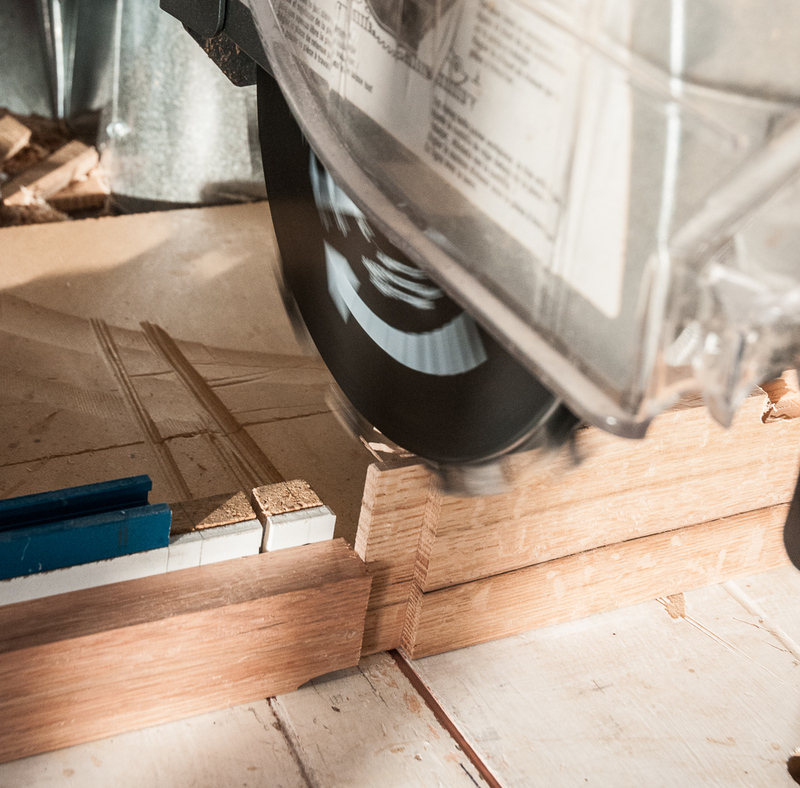 Here I am jointing a slab on my 125 year old Colladay 16″ jointer. The legs are then sawn to width and then run through the drum sander. This not only saves time later but also makes them uniformly square. We used 80,120, and then 200 grit when sanding. Teal handles the outfeed. and I must be careful at the start and end of a set of sides that I don’t create an “I love Lucy” moment for her with pieces coming out faster than she can remove and stack If this is not familiar see the “chocolates episode” : https://www.youtube.com/watch?v=8NPzLBSBzPI). They are next cut to final length. This should be done after sanding to minimize snipe in the finished pieces. 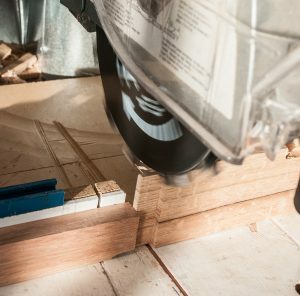 The drum sander is a great tool for large furniture projects and especially where you want to be able to cut repetitive joinery such as tenons or dovetails as you end up with stock of very uniform thickness. Better yet for projects where you pre-finish before assembly as I have done with the beds and other projects. 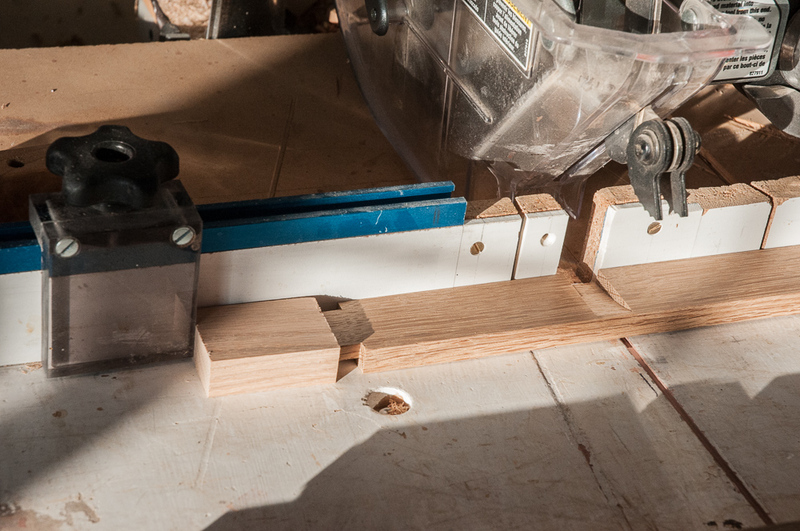 Now that all of the pieces are of uniform width and length it is time to start routing the mortises. 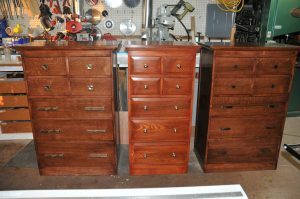 The dressers are symmetrical front to back. 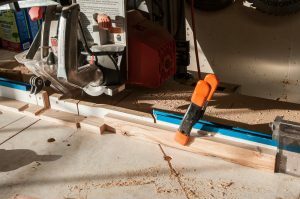 This means that I can cut the legs as pairs (front right – rear left, front left- rear right) as sets minimizing the number of cuts to lay out and chances for error. 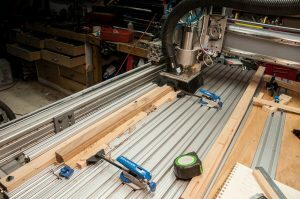 The only problem at this point is I cannot get VCarvePro to properly import the legs to lay out the mortises. I had to redraw them rather than import the legs or faces from SketchUp. 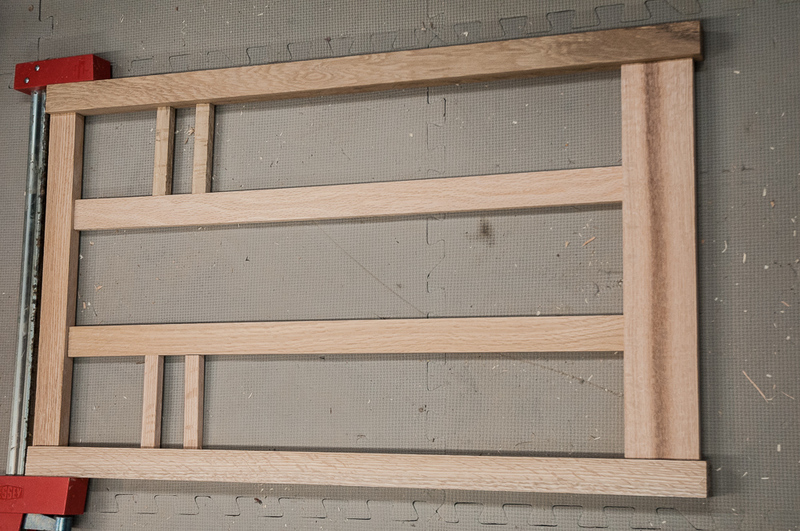 At this point I have all of the mortises cut on one of the sides of each leg (2 layouts). Next will be the second side of each leg. 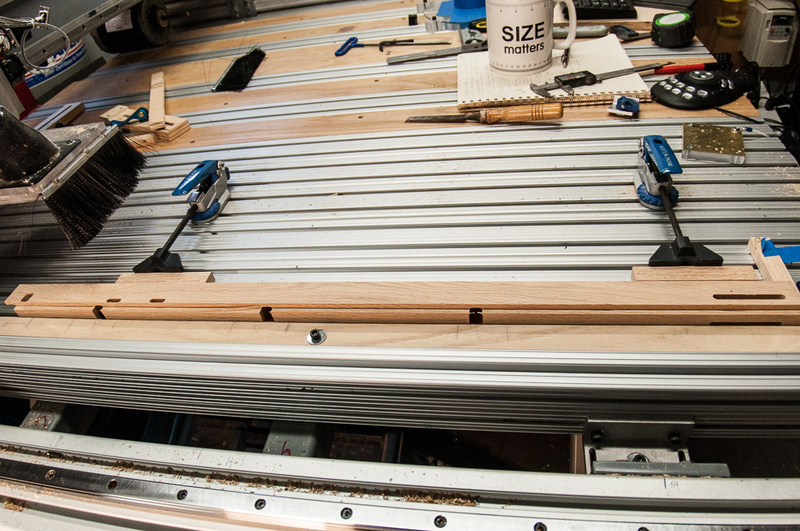 Routing and the leg clamped up on the CNC router. The pile of other exterior components. Time to do another set of dressers for the kids. This is the second small production dresser project that I have done for them. The first set was made a few years ago. There is a lot of setup involved in doing the joinery and making 3 only takes about 1.5 – 2 times as long as making one. I had made several other prior to these as well. 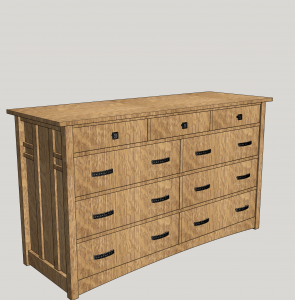 Each of the dressers had some workflow improvements and details added. 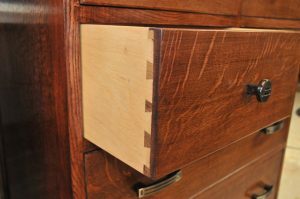 However the basic construction techniques were all very similar with dovetail carcass construction and dovetailed drawers. The set of 3 turned out like this. Each of the dressers was basically a variation on the theme to suit the tastes of Jessie, Elyse and David and to match the finishes on the beds that I had made for each of them. The finish is a mulit-step process of: dye, two wash coats of shellac, gel stain glaze, and 3 coats of pre-catalyzed lacquer. The new dressers are all the same size but will share the differences in finish, hardware and drawer faces that the prior set had. 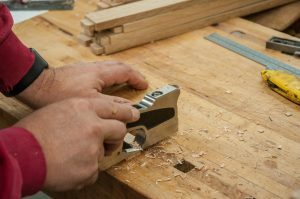 The case construction will be quite different however as this one will use mortise and tenon joinery rather than dovetails. 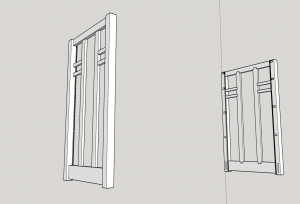 This is also fully planned out in SketchUp vs. hand drawing as I had done in the past. 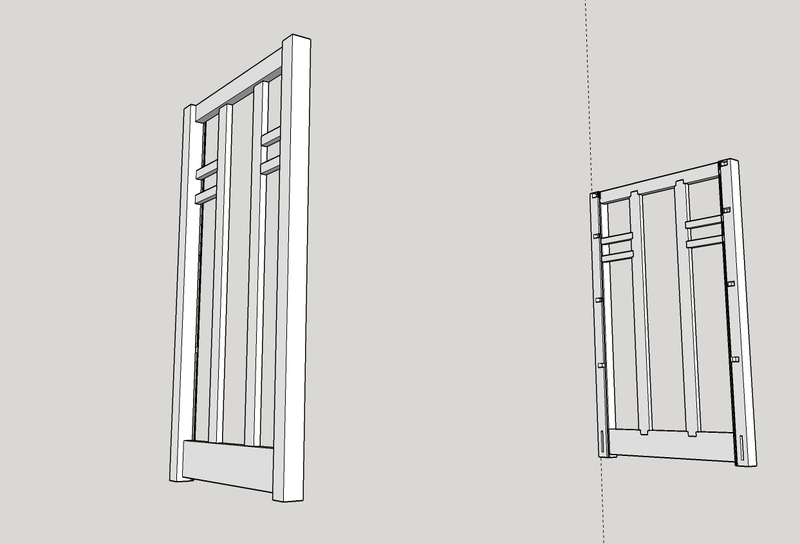 I plan to do the mortises and the drawer dovetails on the CNC router. 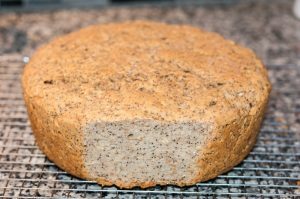 I have been experimenting with sourdough breads. 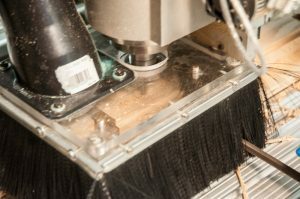 The various books and articles take you through arduous kneading, rising, forming, shaping steps and then backing with steam (tray full of iron parts and chain). However, reproducibility has been a problem, plus I don’t want to have to attend to it too much during the day long rise.. All too often I would end up with low dense loaf with nice crust. But this was not what I was looking for. This version is a favorite and now quite repeatable. It freezes well and it makes the absolute best grilled cheese sandwiches. Pull the starter from the fridge. Pour off any grey liquid on top (if you let it sit a bit too long). Dump the starter into a mixing bowl that you can cover. I have started using the whole starter rather than discarding a portion up front. This gives more sourdough flavor and is not as wasteful. My starter has been neglected for up to 6 weeks in the fridge at times. Add 3/4 c water. This can be adjusted. You want a wet but not runny starter. Cover and let it rise over night. I will often start this after work on Friday. My oven has a 100 degree F proofing setting which is very helpful. The starer should almost double at peak activity and be nice and bubbly. The next morning it should have and even bubbly texture, sort of like thick batter. It will thin out in consistency while rising. 2c fed starter (from above). 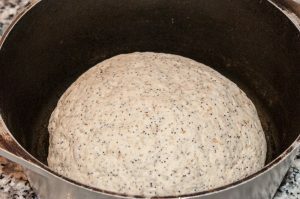 The balance of the starter is then returned to the crock and refrigerated. Knead the mixture for 3 minutes. I use a Kitchenaid on speed 2 with dough hook. The dough should be soft and not too sticky. You may well have to adjust either adding up to 1/2 c flour or 1/4 c water depending on the humidity and how wet the sourdough starter was. If it is repeatedly crawling up the dough hook and spinning, it is still too dry. Push down, poke a hole in the middle and add water. If it is sticking to the bowl and not rising up the hook at all, it is too wet. 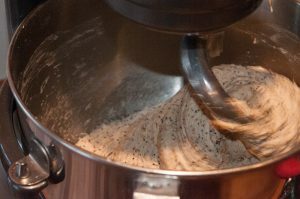 Once it is the right consistency, knead for an additional 2 minutes. Cover the bowl with a damp towel and let it rise until doubled. At 100 degrees this takes 1.5- 2 hours. Don’t let it go too long (e.g 3 or 4) or the second rise will not work. Kneed the dough rolling around on floured surface to tighten the “skin” . Lightly oil or grease the bottom and sides of a dutch oven or other large covered pan. Place the dough in the pan and let rise again for another 2 hours. Remove pan from oven and preheat to 425 degrees F.
You can slash the top if desired. However, I often seem to cause it to fall too much if I do. Bake the bread covered for 40 min. Uncover and continue baking for another 10-15 min. Remove when the center internal temperature is 190 degrees. I normally insert the thermometer probe when uncovering the pan with the remote readout outside the oven (Thermoworks Chef Alarm). Remove from oven and let it sit in the pan for 5 min, then turn out onto a cooling rack. Cool to room temp prior to cutting (if you can wait that long). Apparently my wife Teal can’t. We typically freeze 1/2 the loaf as there is just the 2 of us now. The flours and yeast all are stored in the freezer as well (milk crate for my baking supplies). The whole grains an whole grain flours go rancid too quickly otherwise. 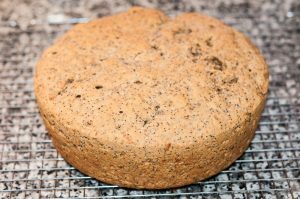 The King Arthur Flour website is a great resource for recipes, tips and supplies. BakeWise by Shirley Corriher which is the companion to CookWise, which is another favorite.